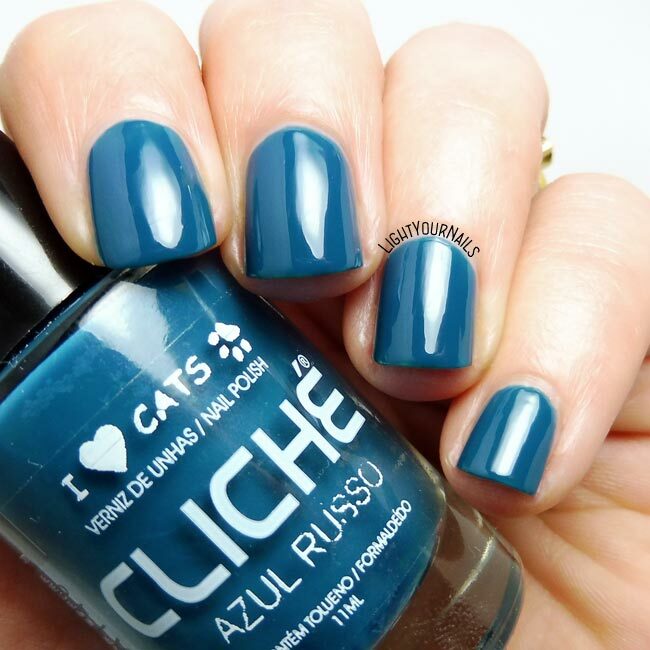 Cliche Azul Russo | Light Your Nails! Today I am starting an Untried A-Z challenge hosted by Lustrous Lacquer that will last all year long. Every other week I will swatch and post a different nail polish that I have never used before starting. For letter A I picked a Portuguese brand that I used to find in Italy, too. 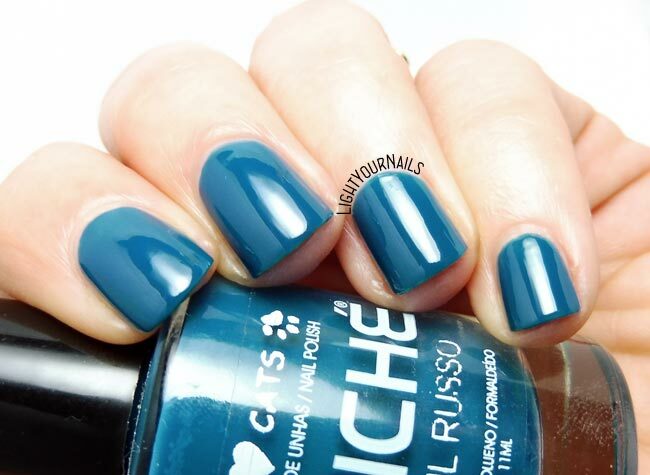 Clichè Azul Russo is part of the I Love Cats collection, where each polish is inspired and named to a different cat breed. Azul Russo is Russian Blue, a short haired grey cat. This nail polish is a medium blue leaning teal with an odd formula. It’s similar to a jelly formula-wise and quite sheer at first coat. You gotta build the colour. Application is easy though. The brush is the classic old one with thin and long bristles. Drying time is quite fast and the finish is glossy. And this was my A, which I am wearing on my nails right now. Do you like it? Bello, bello, mi piace!! :-) Sai, in questo momento non ho nemmeno uno smalto "untried", magari perché ultimamente ho comprato veramente pochi smalti, pochissimi..
Che brava! Io ne avrò un migliaio -.-! 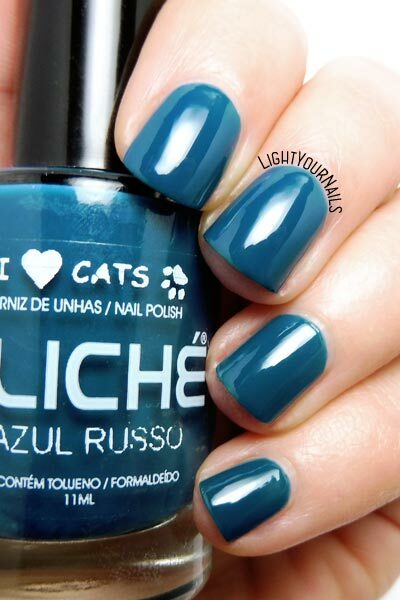 That is a really beautiful blue polish! Very pretty color. It has a smoky blue feel for me which I love. I've never herd of this brand before. Thanks for introducing it to me. Happy to bring some new brands to light! It definitely has that smoky feel you mentioned.